I made a photo booth for my final project. It works the way one would expect a photo booth would, but also has elements from Japanese photo booths, called Purikura, which are popular in Asia. I’ve always really enjoyed making these photos, which are printed on stickers that people used to stick to their phones (before smartphones existed) but it’s always really expensive. I thought it would be nice to recreate some of the fun on my computer. There are two key differences between photo booths in the US and Japanese ones is that the Japanese ones edit your pictures to make you more attractive and after the photos are taken, the users can draw on and place images on top of the photos. I really could only do create the latter experience, but think that even without the automatic airbrushing, using this photo booth is a bit of a unique experience for those unfamiliar with Asian culture. I would imagine this version would be used at parties as a kind of replacement for a guest book. This photo booth takes photos of the users and allows them to select with the number pad and paste with a click of the mouse small images on top of their photos before finally saving the whole collection to the computer. To retake the photos, they can refresh the window and can delete objects they’ve placed using the backspace. Using this booth is a bit difficult and I’ve left it a bit vague. While I’ve been taking photos in these booths all around the world, I’ve never been with someone that actually can read or understand Japanese, so while there are many clear instructions for how to use the machines, I’m never completely sure if I’ve got it right. I was taught how to use them by people who figured it out on their own and I’ve done the same for others. Still, one is able to choose and paste stamps where they want, deleting images for which they didn’t like the placement. They should also be able to save the images when they’re done, as well. Below is a demonstration video ft. my roommate. You should be able to check it out here. I learned classical piano for 12 years. I’m awful at it. What came with 12 years of classical piano training was some passable knowledge of music theory. Learning to play an instrument is hard and the average listener doesn’t put much thought into what makes some songs work. Because music is auditory, I want to visualise the structure of songs in a way that could be understood by someone who doesn’t think much about music theory. At first, I wanted to visualise the key in which certain pieces were composed to show patterns and parallels. I would have to think more about which aspect of music to focus on, for example, I could also compare the chords of a song to the melody and repetition or looping that happens with music. An alternative could be creating something which analyzes the most common words in on an album, artist’s discography, or genre of music and displays these words. I could also do variations on this theme, as well. Similar to one of the first pieces shown in class. 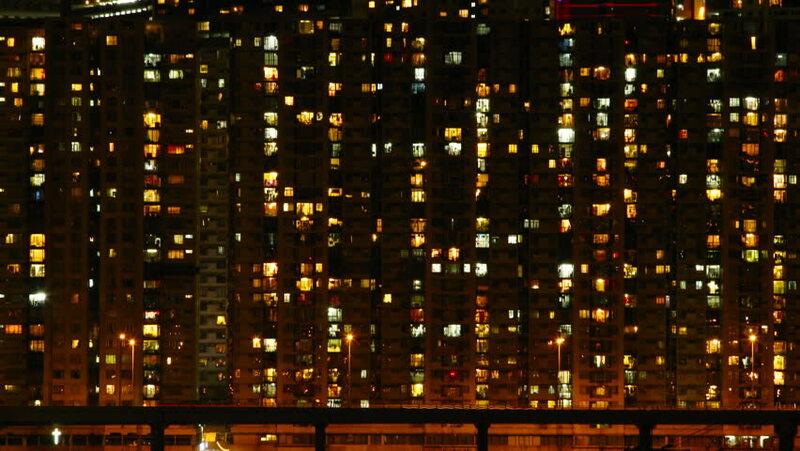 On a late night bus in Hong Kong, I looked out the window to see a set of highrises not too far away. Soft light illuminated their massive windows, most slight variations on the yellow glow from incandescent bulbs. There were some florescent lights, ranging from a stark neutral white light to an unnatural blue-ish tinge. Some were waiting, unlit. The emerald green and ruby colored windows threw me off. It seemed more like stained glass on church windows, not a highrise apartment complex in Hong Kong. As soon as I made that connection, the buildings were out of sight. I want to recreate that sight and that feeling I got from looking at the buildings. I would create the cityscape from paper or cardstock and something translucent, maybe tissue or parchment paper, for the different colored windows. They would be lit by different colored LEDs. To interact, viewers would be invited to say one phrase and the brightness of the lights would change in relation to the speaker’s pitch, cadence, volume, ect., creating a unique but communal experience for each participant. For this assignment, I wanted to create a circuit where pressing a button a certain way would result in a certain color of light emitting from the 3-color LED. This was another adapted attempt of the same project from the book that I tried last week. I wanted to make it so that the light in would be shine blue constantly and pressing the button would result in either a red or green color emitting from the light. The red would be the ‘wrong’ sequence of button presses and the green would be the correct sequence. I thought that this idea was simple and possible, but I really didn’t know how to achieve it. I started by setting up the breadboard similar to that of the one from the project in the book. I added the button and tried to remember exactly what we did the last class when we used the button. I couldn’t remember and found a tutorial online that could help guide me. After then, I tried to figure out how to make the red or green light shine when the button was pressed in different ways. After running my idea by a friend, she said that timing things was tricky, so I modified my idea to simplify it a bit. I decided that holding down the button for a certain time should be easier to program than than a certain sequence of presses. I looked online for a reference and tried to adjust some code to fit my idea for the project. In reality, I had no idea what I was doing and was a bit unclear of which things I needed to change or be mindful of to make the project work the way I wanted it to. At one point, I pressed the button and the green light shone, but then remained on for as long as the arduino was connected to power. I wasn’t able to turn it off by pressing the button or to make the light shine red or blue again. And here’s the bit I soldered. This assignment gave me a lot of difficulties. I’m learning both coding and circuits for the first time and really don’t have a firm grasp on either of them. We were supposed to add some sort of time or another interactive element to a circuit you don’t flip with your hands. While trying to come up with an idea, I really wanted to either work with the temperature or the light sensor. A friend told me they didn’t think the temperature sensor was very reliable, so I picked light. I decided to try to use the book we were given to complete the assignment. I chose one that used the RGB LED, but made a modification to the circuit they presented, which I hoped would allow me to just use one LED for the circuit. Looking back, it may have worked, I may have been using the wrong resistor. Unfortunately, I forgot to take a picture because I was frustrated with my creation and just wanted something to work. I tried to find something on the internet that was more simple than the project in the book. I followed a guide from sparkfun.com. Using the schematic they provided, I still wasn’t even able to get the light to shine. Sending a picture to a friend, they suggested some adjustments which allowed me to make the LED glow. After uploading the code I found on the website, it didn’t seem to react to the sensor. Strangely, it seemed to get a little dimmer when it was very dark over the sensor, but the difference was barely recognisable. We were assigned to create a circuit in which you don’t use your hand to flip the switch. I had a lot of difficulty deciding how I would go about doing that, but decided to try to attempt some sort of method using a floating piece of conductive material to complete a circuit. I thought about using washers, some sort of metal plate, or some sort of copper wire weave, but wasn’t sure how effective any of those methods would be. After doing a quick Google search for some conductive materials, I found I could use aluminum foil. After assembling all my components, I tried to actually put together the circuit. I used the breadboard because I thought it would help me better visualize and organize the flow of electricity through the circuit. Using a resistor was confusing and I had difficulty trying calculate which sort of resistor I should use, and how to determine the function of the resistor. When asking a friend for her opinion, she thought that we were always advised to use the 1k resistor, so that’s the one I ultimately chose. When most of the circuit was set up, I tried figure out the “handless” part of the assignment. Here, a test was conducted to see if tinfoil would be a reliable conductor for the electricity. It turns out the internet didn’t lie this time around. In the ITP shop I found a small cup and some tape. The cup was small enough to act as a bit of a guide for the tinfoil, to make sure water poured from above wouldn’t force the tinfoil away from two pieces of exposed wire, which would complete the circuit. The tape was used to attach the wire to the cup, and position the wires to come into contact with the aluminum. When water is poured into the cup, the aluminum foil comes into contact with the wires, completing the circuit and making the LED light shine. When putting the whole circuit together, I had some difficulty having the light shine. I tried to figure out what the issue was, maybe the positive end of the battery was attached to the black wire, maybe I needed the resistor to be in another place, maybe I had a defective battery. Testing the potential problems resulted with the same dark LED. I decided it could have been the voltage for the LED, I knew the green one I was using was 2 volts, changing to a red one allowed the light to shine dimly. When changing to a blue LED with 3 volts, it shone the way it had in class, I I realised this was the proper LED I should use with this battery and resistor. Finally, I was able to put together the circuit.